KwaZulu-Natal (; also referred to as KZN and known as "the garden province") is a province of South Africa that was created in 1994 when the Zulu bantustan of KwaZulu ("Place of the Zulu" in Zulu) and Natal Province were merged. It is located in the southeast of the country, enjoying a long shoreline beside the Indian Ocean and sharing borders with three other provinces and the countries of Mozambique, Swaziland and Lesotho. Its capital is Pietermaritzburg and its largest city is Durban. It is the 2nd most populous province in South Africa, with slightly fewer residents than Gauteng. 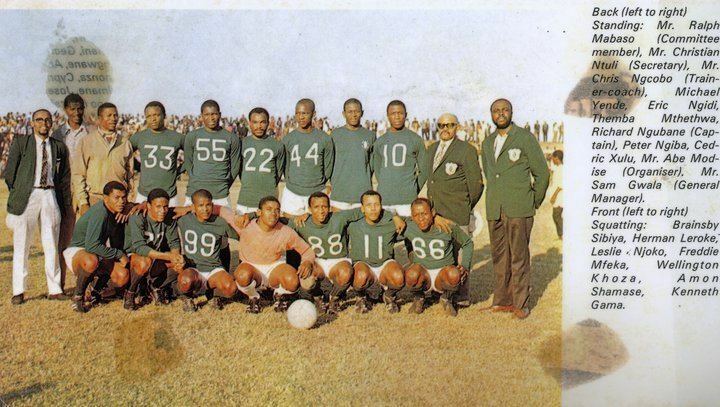 KwaZulu-Natal is the birthplace of many notable figures in South Africa's history, such as Albert Luthuli, the first non-white and the first person from outside Europe and the Americas to be awarded the Nobel Peace Prize (1960); Pixley ka Isaka Seme, the founder of the African National Congress (ANC) and South Africa's first black lawyer; John Langalibalele Dube, the ANC's founding president; Mangosuthu Buthelezi, the founder of the Inkatha Freedom Party (IFP); Anton Lembede, the founding president of the ANC Youth League; Jacob Zuma, the current President of South Africa; and Bhambatha, a 19th-century Zulu chief who became an anti-apartheid icon. At around 92,100 km2 in area, KwaZulu-Natal is roughly the size of Portugal. It has three different geographic areas. The lowland region along the Indian Ocean coast is extremely narrow in the south, widening in the northern part of the province, while the central Natal Midlands consists of an undulating hilly plateau rising toward the west. Two mountainous areas, the western Drakensberg Mountains and northern Lebombo Mountains form, respectively, a solid basalt wall rising over 3,000 m (9,800 ft) beside Lesotho border and low parallel ranges of ancient granite running southward from Swaziland. 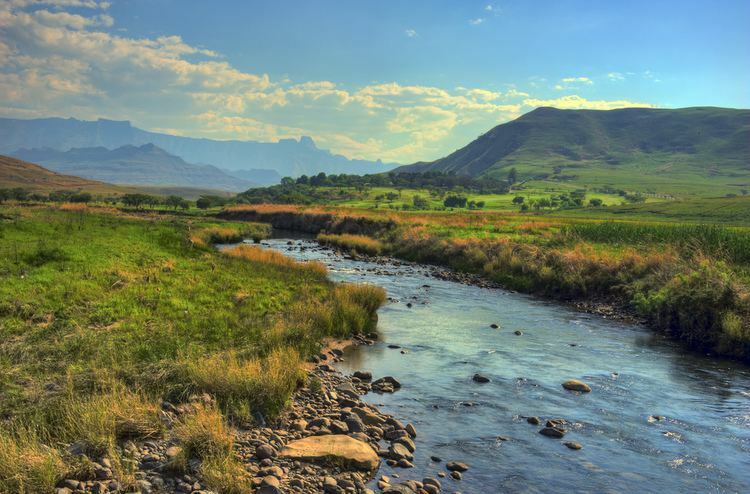 The area's largest river, the Tugela, flows west to east across the center of the province. KwaZulu-Natal is divided into eleven districts. One of these, eThekwini (Durban and surrounding area), is a metropolitan municipality and the other ten are district municipalities. The local seat of each district municipality is given in parentheses. 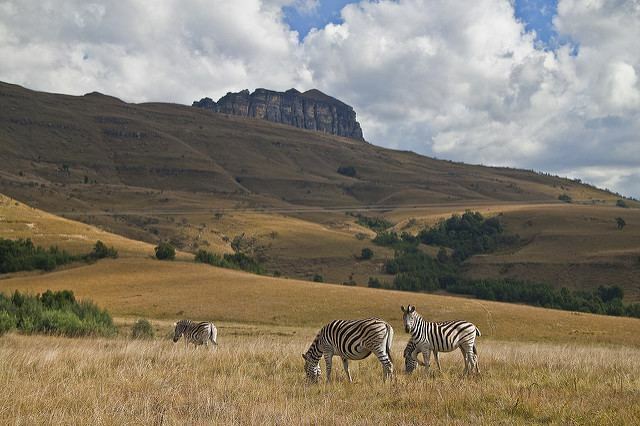 In 2012, the Ingonyama Trust owns 32% of the land in KwaZulu-Natal, in many municipalities. This amounts to about three million hectares, occupied by over 4 million people. The Zulu king is the chairman of the Trust. One of the most urgent crises facing the province is the unparalleled prevalence of HIV infection among its citizens. South Africa as a whole has more HIV-positive citizens than any other nation. Among South Africa's provinces, KwaZulu-Natal has the highest rate of HIV infection: 39 percent, according to UNAIDS in 2009.